This is nothing i like i was expecting! i really don't recommend this show if you have seen the last season since you will be very disappointed.. . I'm pretty critical of any Mulan plot type deals. This didn't happen as I expected. The whole thing was choppy like an entire tv show chopped up and mashed together to form this two part movie thing. It's different and a bit rushed yet got it's point across along with the story. I like it yet at the same time didn't. There are some parts that are pretty neat while others come across as a bit too odd for my tastes. One thing I liked was Nobunaga not having any woman/male shenanigans if you ignore the romance sub plots. 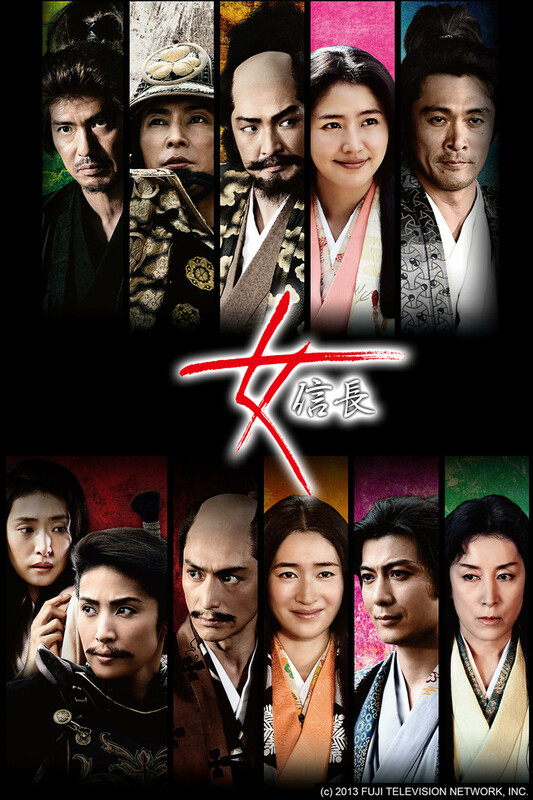 I found it interesting how this whole show comes off as a mix of a the tragedy of Nobunaga with the struggle to be herself and the rise of Nobunaga, the great daimyo who was close to uniting Japan. It's both a success and tragic story that paints her into a unique picture. Would I recommend watching it to others? Not really. It certainly wouldn't be the first show to come to mind. It's a nice attempt at the gender swap dramas that's more serious in nature, which I appreciated. It doesn't exactly have a happy ending yet it's not sad either. Very good acting and unpredictable. The beginning of the story felt a little rushed though. I enjoyed overall and would watch it again! Do not want to spoil the story with a long review. I would recommend to my friends. The series' premise initially seemed absurd to me, but I kept watching and I'm glad I did. I really couldn't guess where they got the idea, and I think they could easily have failed in its execution, but the creators clearly knew what they were doing. The series has great production value, and it's well-written. It's the acting that impressed me the most, though. A familiarity with the Japanese Sengoku period will help you appreciate the story - and its twists - but it's not a prerequisite.